There are many more changes than we’d expect for a Content Update. What we thought would be a small Fortnite update turned out to be one that’s bringing important changes to the game. Today’s Fortnite v7.20 Content Update is adding, removing, and adjusting several items. This might have a strong impact on the main strategies players use to move around the map, ambush opponents, and manage their health pools. We were aware that the Sneaky Snowman was coming and that the Quad Launcher was going to be vaulted, along with small tweaks on shield items’ availability and to mobility items. Now we know the details. Check out what’s changed in Fortnite, according to the v7.20 Content Update patch notes. The Sneaky Snowman is an upgraded version of the legendary Bush. 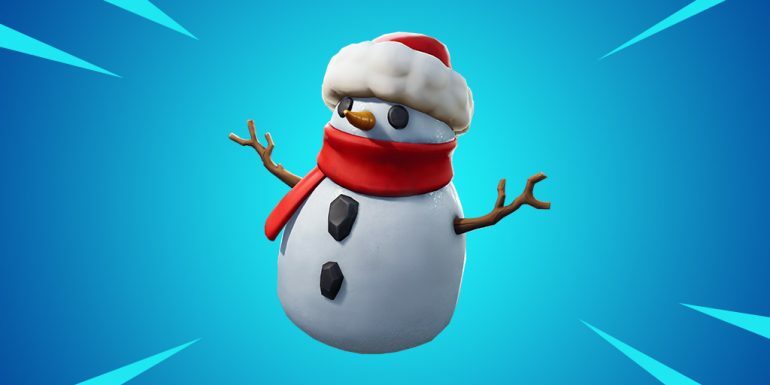 This consumable item was introduced today and will allow players to disguise as a snowman that is exactly the same as the ones spread around the Fortnite island. Players can use this disguise as a shield since it has 100 health, but they can’t perform any action other than walking. Players have to first place the Snowman to be able to wear it. It’s destroyed if the player wearing it swaps their items or tries to build while inside it, or when its health goes down to zero. It’s a Common item that can be found from Floor Loot, Chests, and Supply Llamas that drops in stacks of five. The explosive weapon Quad Launcher was sent to the vault and is now unavailable in all game modes, unless specified. As with any vaulted item, the Quad Launcher can make a return in specific Limited Time Modes, in this case like High Explosives. Epic has yet to announce in which modes it might appear again, if it ever does. The Grappler and the Port-A-Fort are also gone. Epic hasn’t commented in detail about their removal, but the Grappler was surely removed as part of the mobility reduction the company intended to push live. Along with the removal of the Grappler, it might be a bit harder now to move around the Fortnite island quickly and efficiently. Epic has reduced the spawn chances of X-4 Stormwing Planes and Quadcrashers to 50 percent, down from 80 and 100 respectively. Gliders and Balloons are also much less likely to spawn from now on. Players complained a lot about how hard it was to find Small Shield Potions and other shield items after the v7.20 update last week. Epic has recognized the issue and swapped the spawn rates of Small Shield Potions and regular Shield Potions. This means players are more likely to find Small Shield Potions in floor loot and chests than ever before, while it might be a bit harder to get that big Shield Potion that would put them to 100 shield after using two small potions. We’ll have to wait until the v7.30 update next week to find out what Epic has in store for players after today’s changes. Players should be able to drop into the game right now to test the update since no server downtime was required this time.